· A complete visibility of hours to avoid errors in time entry. Users could inadvertently add hours on the time-off day without this view. · Colour coding of weekends and time-off days. 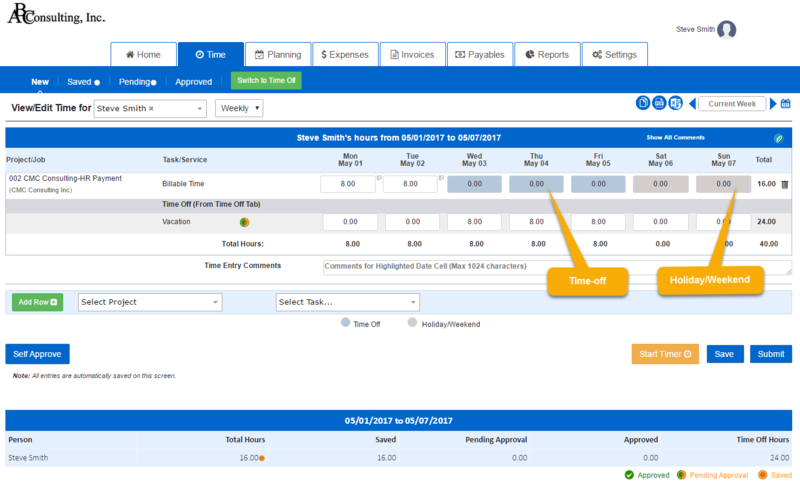 This feature is applicable for the companies using time-off functionality in AccountSight. 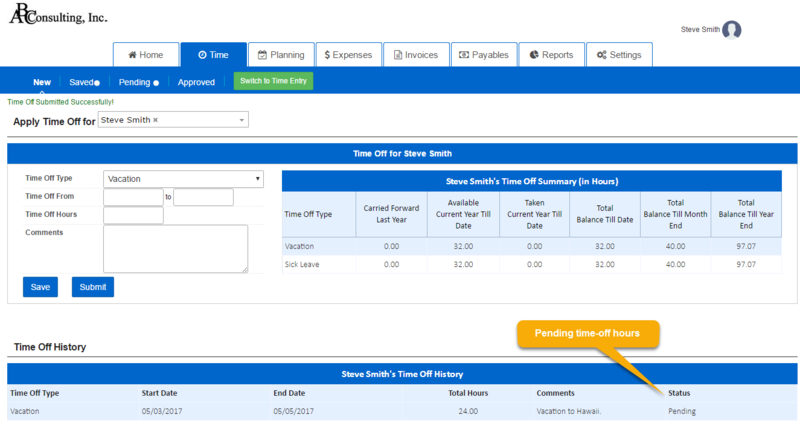 Time-off becomes available on the timesheet only after submitting for approval. Submit time off request from time-off subtab. Thank you for reading this blog and please feel free to provide your feedback on this functionality to your AccountSight representative.